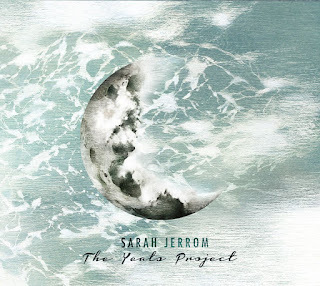 Proclaiming her crafts as a composer, arranger and vocalist, Sarah Jerrom’s latest album, The Yeats Project, is an exciting and imaginative follow up to her critically acclaimed debut CD, Illuminations. Featuring her original compositions set to the poetry of William Butler Yeats, Jerrom orchestrated the music for a unique nine-piece chamber jazz instrumentation comprised of strings, woodwinds, brass and a traditional jazz rhythm section, with Jerrom herself on vocals. 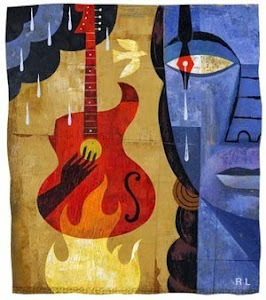 After gathering a group of Toronto’s top established and emerging musicians, the music was recorded live at two concert venues in Toronto and the Niagara region. The featured poems reflect upon themes such as spirituality, life as an artist, death, defeat and love. Blending the elements of jazz, improvisation and classical music, The Yeats Project presents the words of W.B. Yeats set to music in a completely unprecedented style and approach. This distinctive interpretation and the ensemble’s unique combination of instruments played by a specially formed group of top-flight, multi-influenced musicians makes The Yeats Project a rarity in terms of concept and sound. Marty's review: taking on such an ambitious project and putting it all together makes Sarah Jerrom one exceptional talent. With not only the composing and arranging at her control, she also contributes vocal duties alongside a stellar cast of contemporary jazz musicians. The result is an exquisite conceptual album that weaves the lyrics of William Butler Yeats with contemporary chamber jazz. 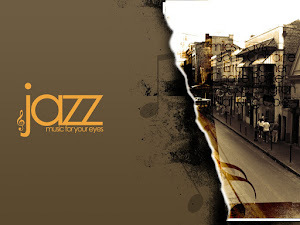 It allows the listener to take a journey with Sarah's most beautiful voice guiding you along and the nine-piece jazz chamber orchestra providing the musical "wheels" for whatever form of transport you wish to choose. A rare treat for the soul and mind it radiates from every direction. Buy Sarah’s new album here!